Built 1953 by Howaldtswerke A.G., Hamburg, Yard No.886 as "ARCTURUS". Renamed 1968 "PERMINA SAMUDRA III". 1970 renamed "VARI". 1973 "ARGO MERCHANT". Owned by Thebes Shipping Inc., Monrovia. 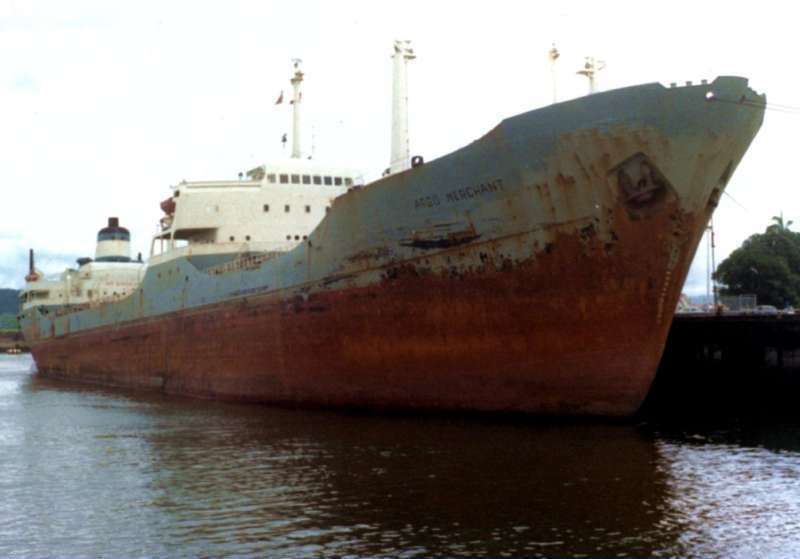 Ran aground on Middle Rip shoal about 25 miles south-east of Nantucket Island on December 15, 1976, on voyage from Puerto la Cruz, Venezuela to Salem, Massachusetts with 28'000-ton oil. She caused a major marine pollution after she broke in two in heavy weather. This photo has been shown 2,948 times since it was added to the site.